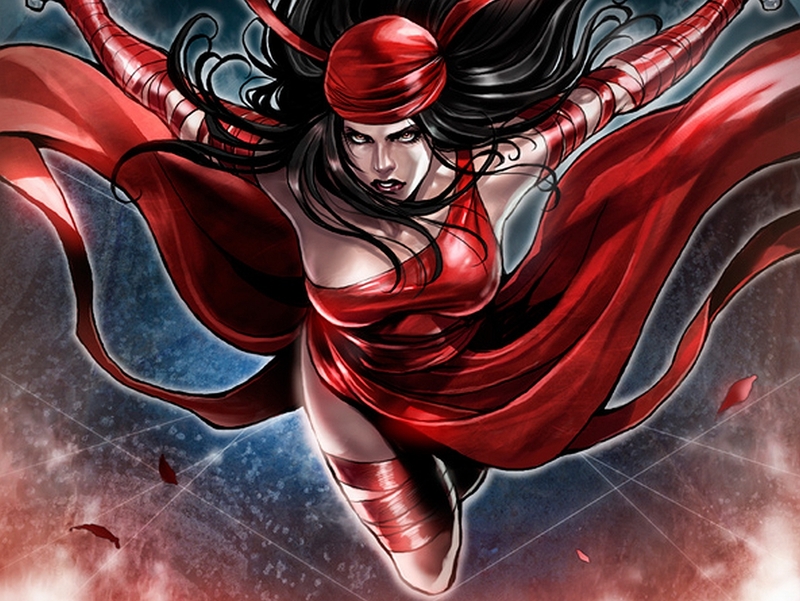 Daredevil Season 2 Characters: Who Is Elektra? 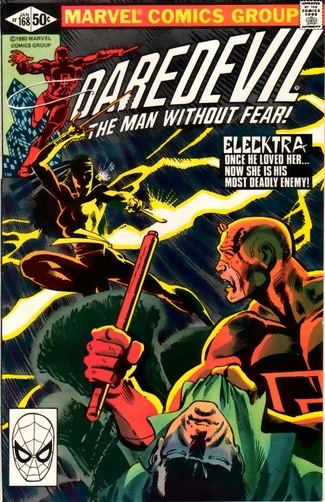 Nearly 20 years after Daredevil debuted in the comics, writer Frank Miller introduced one of the key in the Man Without Fear’s mythology: Elektra Natchios. Although she is arguably Matt Murdock’s most well-known love interest, she’s made a name for himself for decades as one of the best assassins in the Marvel universe. Clad in scarlet and wielding two sai, Elektra uses her fighting skills and mental abilities to eliminate anyone standing in her way. Having dabbled in both heroism and villainy, she’s best classified as an anti-hero. Nowadays she can usually be seen working with the good guys, but she still engages in sketchy activity now and then. Before she makes her TV debut on the Daredevil Netflix series, we’re looking at Elektra’s history both in the comics and in other media to give you an idea of what to expect from her next month. Daredevil #168 (1981): Miller established Elektra’s basic backstory in her introductory issues, as well as gave readers their first taste of her ninja skills. Elektra: Assassin: Although it’s unclear whether this miniseries is in continuity, the mature story nevertheless gives readers a better glimpse into her personal struggles as she fights a creature known as The Beast (no, not the X-Man). Daredevil #324 (1994): Elektra was brought back to life by Stone, one of Stick’s best pupils who had previously managed to cleanse her soul. 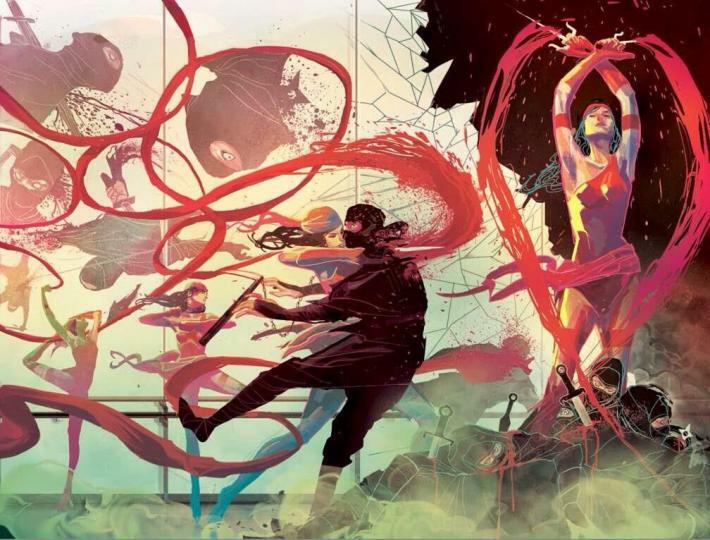 Elektra Volume 1: Bloodlines: Pick up this volume and its successor Reverence if you want to read Elektra’s latest comic book solo adventures. Living with her father while he was as a Greek ambassador to the United States, Elektra met Matt Murdock while they both attended Columbia University. After her father was killed by terrorists, Elektra quit school and began studying under Stick, the same man who trained Matt in the ways of fighting, but later left his organization, The Chaste, in favor of working for The Hand. She returned to New York City as an assassin for hire and eventually began working for Wilson Fisk, a.k.a. The Kingpin. During this time, she came into conflict with Daredevil, but when she discovered that he was her old boyfriend, she couldn’t bring herself to kill him. Upset her failure to kill Daredevil and her target, Matt’s best friend Foggy Nelsom Kingpin hired a new killer, Bullseye. When he and Elektra competed over who would be Kingpin’s top assassin, Bullseye won the battle and impaled her with one of her own sai. After she was killed off, Marvel apparently promised Miller that they wouldn’t use her again. However, over a decade, she was brought back to life by The Hand, much to Miller’s dismay. After being resurrected, her adventures included teaming up with Wolverine in the Enemy of the State storyline and arrying out missions for S.H.I.E.L.D. Shortly before the Secret Invasion event, the Marvel protagonists discovered that Elektra was one of the heroes who had been replaced by a Skull in disguise. The real Elektra was later found about one of the Skull ships following the battle between the Marvel heroes and the invading Skull forces. Elektra was subsequently taken in by Norman Osborn’s H.A.M.M.E.R. organization during the Dark Reign, but after escaping, she was forced to contend with several assassins being sent after her by Osborn, including Bullseye. Her highlights in the last couple years include taking part in the Shadowland event and serving alongside several other anti-heroes in the latest iteration of The Thunderbolts, led by Thaddeus “Thunderbolt” Ross, a.k.a. the Red Hulk. She also led her own solo series from 2014 to 2015, where she fought villains like Cape Crow and Lady Bullseye. Aside from numerous appearances in video games, Elektra biggest appearance outside of the comics was in the 2003 Daredevil movie, played by Jennifer Garner. This version of her was the daughter of Nikolas Natchios, a businessman who tried to cut ties with Wilson Fisk. Because of this slight, Fisk hired Bullseye to kill Nikolas, and when the Irish assassin did the deed, he used one of Daredevil’s lost billy clubs to frame him for the murder. Elektra subsequently began training again so she could kill Daredevil out of revenge, but after wounding him during their fight, she was shocked to learn he was matt Murdock, the man she had grown to love. Realizing the truth, Elektra sought Bullseye out, but like her comic book counterpart, she was killed. However, at the end of the movie, it was alluded that she somehow was still alive. This was confirmed when Garner reprised Elektra for her own spinoff in 2005. The character was resurrected by Stick, who in this world was her old trainer rather than Matt Murdock’s. This movie featured Elektra fighting The Hand, but it earned more negative reviews than Daredevil. That bring us to the Daredevil TV show, where Elektra will be played by G.I. Joe: Retaliation’s Elodie Yung. 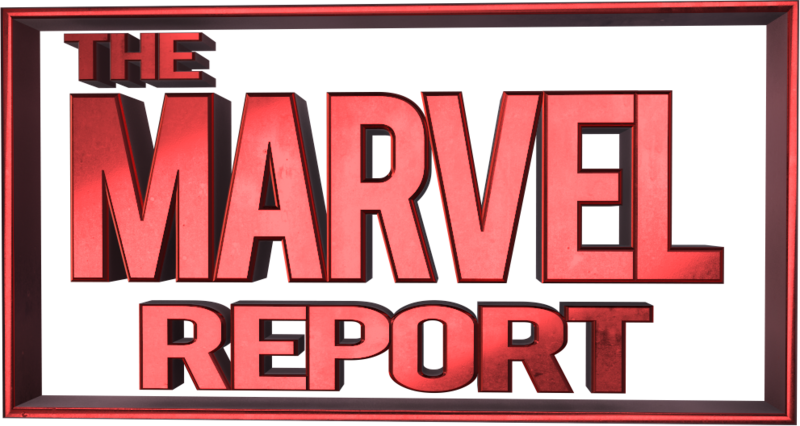 In Matt Murdock’s second year of crimefighting, his main source of conflict with fellow vigilante Frank Castle, a.k.a. The Punisher, but when Elektra (previously mentioned in Season 1’s “Nelson v. Murdock” as the Greek girl Matt dated in law school) returns to his life, she’ll cause her own kind of trouble. She’s specifically able to awaken Matt’s “wild side,” and because of the nature of their relationship, it’s harder for Matt to get a read on her using his enhanced senses. It’s doubtful she’ll been an antagonist to the same degree that Punisher is, but one thing’s certain: her presence isn’t going to make Matt’s life any easier. We’ll find out what’s in store for the Marvel Cinematic Universe’s Elektra when Daredevil Season 2 premieres on March 18. Adam Holmes has been a fan of Spider-Man ever since he was little, but it was reading a collection of 1960s Daredevil stories at age 9 that he started getting entrenched in the world of Marvel. His other favorite characters include Captain America, Iron Man and Silver Surfer. You can check out his articles about all things geek in movies and television over at CinemaBlend.com.